- AE compatibility. Not only has the testrel been updated to include slots for all of the AE systems, but the images have been fixed so it once again looks like a proper ship. - AE environments (pulsar, PDS friendly/enemy/all) have been added to the environments list. 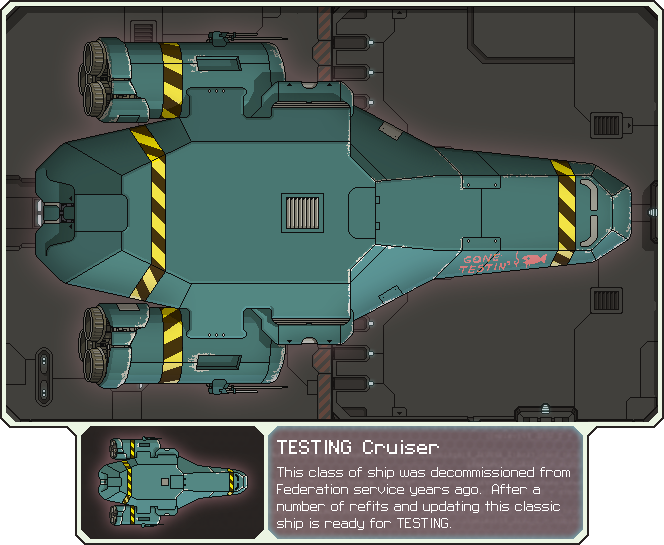 - AE ships and layouts (including the Lanius) have been added to the fight a ship list. 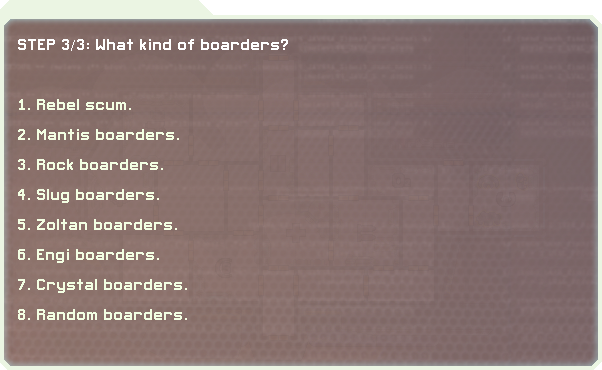 - Lanius have been added to the fight borders options (six lanius boarders are incredibly scary). - Spawned ships have had their minimum values brought up so even though you're still in the first sector, hard ships are equipped as if they were in later sectors and pose an equivalent challenge. - "get resources>I want a specific item" will display up to 30 different weapons, drones, or augments and let you pick any one, great for finding items or seeing how common your items actually are. Lemme know if you see any bugs, grammar errors, textbox overflows, or have any other questions, comments, critisisms, or feature requests! - If you fill your cargohold by more than one item, you can only access the most recently dropped item. 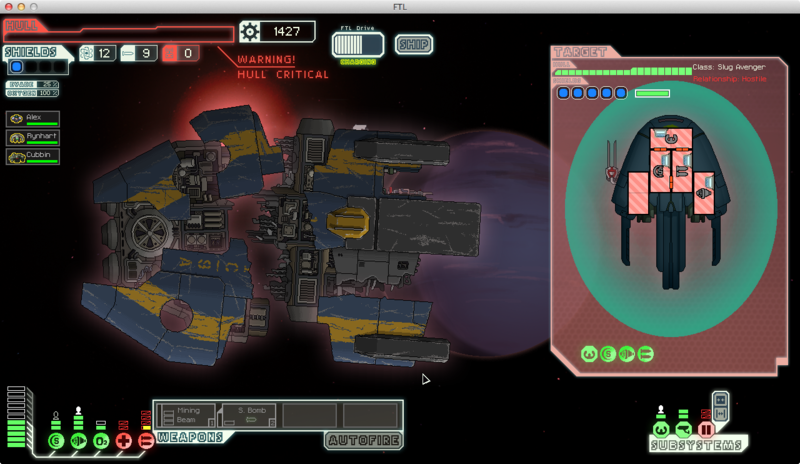 That's on FTL's end, though. I'm currently working on adding even more options, such as giving the possibility to spawn boarders and an enemy ship at the same time, more resource management options and more. If you're interested in the old version of the mod, check the obsolete thread down below. MTE is a mod that gives users more direct control of the game's events. It was made to help modders that need to test specific situations. If used in conjunction with the Custom Content Patch (aka CCP) it also allows you to easily test your own events, weapons and edit an enemy encounter! This is the menu that lets you spawn boarders or enemy ships. You are also given the option to spawn an environmental hazard before picking an enemy. The dummy ships are a special class of enemy ships made with the purpose of weapon testing. The first dummy is a one-shielded unarmed target, the self-repairing dummy is a ship with an indestructible drone system equipped with hull and repair drones that will continuously repair its systems and hull. The custom dummy is a special ship that you can edit using the CCP. More informations below. This is the boarders menu. You'll be able to spawn 2, 4 or 6 boarders of the chosen race. You can also open up stores at any beacon. You're given 1490 scrap at the beginning of the game, but if that isn't enough you can always grab more scrap at any other beacon. Doing so will not "consume" the beacon, and you'll still be able to pick any other option without leaving. The former will simply make your ship explode, the latter will spawn a ship armed with a strong shield piercing beam that will... well, also make your ship explode!. The Custom Content Patch, a .zip containing three files that integrate with MTE to help you spawn your own custom content. After editing the .xml.append files, just make an .ftl containing them and load it after MTE. When loaded successfully, all of MTE's greyed-out options will become blue options instead. And this is how it looks in game! And, last but not least, the custom dummy ship. It's simply an enemy ship that can be edited easily to match your needs. By editing autoBlueprints.xml.append you can add up to four weapons to it, modify its crew, and even make one of its systems indestructible! You can then call it in-game by going in the dummy ships menu and selecting "A custom dummy ship". Here's how the custom dummy's standard setup looks in-game. Take a look at its code! It's super easy! And... that's it, for now! Let me know what you think of this pack! If you have some ideas and want to help out, feel free to look at the code and edit it yourself! If your additions are cool I can add them to the official thing, after crediting you of course. :​P Otherwise just leave a comment, feedback, hatemail, whatever! - Changed name from "Ship Testing Environment" to current, since focus is not only on ships anymore. - Added environmental hazard picker. - Added more "Nothing" options. - Made the Slug Avenger stronger and removed its crew. - Added support for custom event loading. - Added the self-repairing dummy ship. - Added the custom dummy ship. - Lowered shields of the normal dummy from 2 to 1. - Made fleet advance disabling a little more reliable. - Used </secretSector> shenanigans to make sectors repeat indefinitely. - Handled no fuel events, should you empty your fuel reserve. - Tweaked texts here and there. It all started with me complaining about having to make a video to show the features of a ship, and how to make it i had to modify the original project to show features that you wouldn't start with. So English Narwhal comes out with the idea of making a series of scripted events that would let a modder test things like fighting a ship, showing their cloak and then getting destroyed. It was a great friggin' idea, and he said he'd look into making it. I was so eager that I started looking into event scripting too and started messing around with them, and after being helped immensely by both English and Kieve to solve lots of problems i've encountered, this thing came out. English Narwhal for basically letting me make this and helping me with the coding; and Kieve, with his huge knowledge, that helped me actually making this thing work. ◡‿◡ If it weren't for them there would be no STE. - A menu for free specific vanilla augments/weapons/drones. - A better rewrite of the entire system that would allow you to spawn boarders and fight an enemy ship at the same time. Last edited by TaxiService on Sun Oct 08, 2017 9:10 am, edited 13 times in total. Very well done. If I had this while I was actively modding I'd have used it ALL THE TIME. I'm also working on letting the user choose environmental hazards before fights/boarders, and also adding support for user defined events! It's gonna be pretty cool. : ) stay tuned! I was using the Mantis Combat console menu from the old Foundation of the Federation for quite some time but now I got something more of the lines of "general" to help myself out. 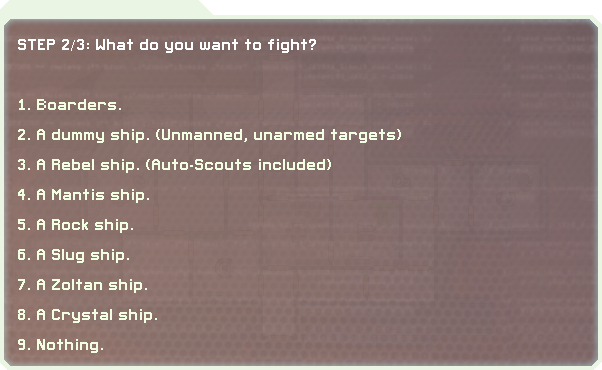 Can I use the "Test Ship" ship hulls from this mod? I would like to have them as test ships I use when testing weapons or such. It would make testing weapons a bit more fun. Last edited by R4V3-0N on Sat Jan 25, 2014 10:59 pm, edited 1 time in total. Hmm. I wonder if there's a way to destroy the Slow-killer ship. L3 Cloak+Some fast charging OP weapon perhaps? This mod appears absolutely orgasmic. Is there a way to spawn the Rebel Flagship? 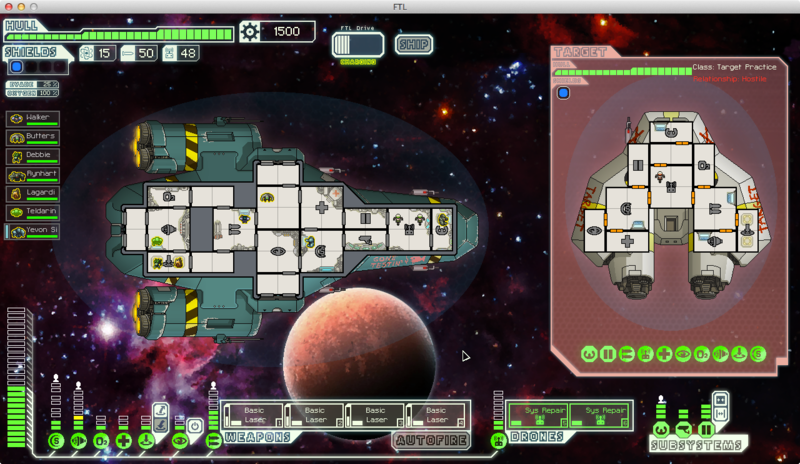 If there is, feel free to take my heart, my love, my mod, my cereal, but not my copy of FTL. If space is our final frontier, then I must perform my duty of finding a way to make our stand, extremely and utterly ridiculous as well as absurd. - Fleskdawson 27/1/14 before being stranded in a cereal box orbiting the Mantis Home worlds. You can recreate the rebel flagship minus the artillery and other stuff, and make that attack you. 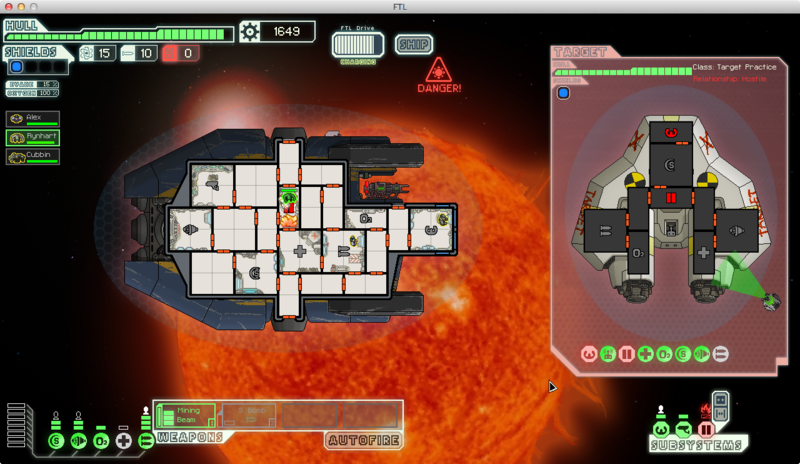 You can not exactly make a short cut to sector 8 and do it though.